Funny little story for y'all. I have been a lover of Rice Krispies treats pretty much my whole life. 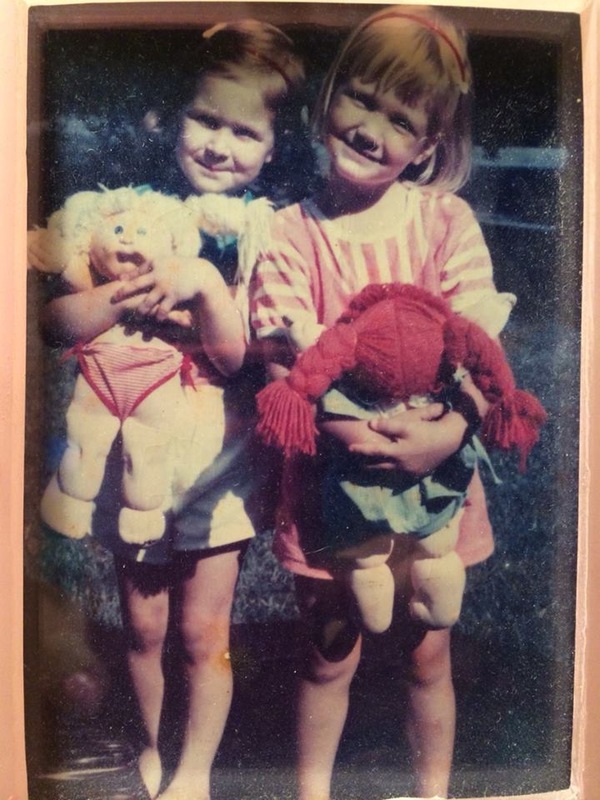 My aunt and uncle have a video of me from when I was about 4 years old asking everyone one, in the most southern accent possible, "Would you like a Rice Krispies squaaaaaare?" My family still jokes about it to this day. 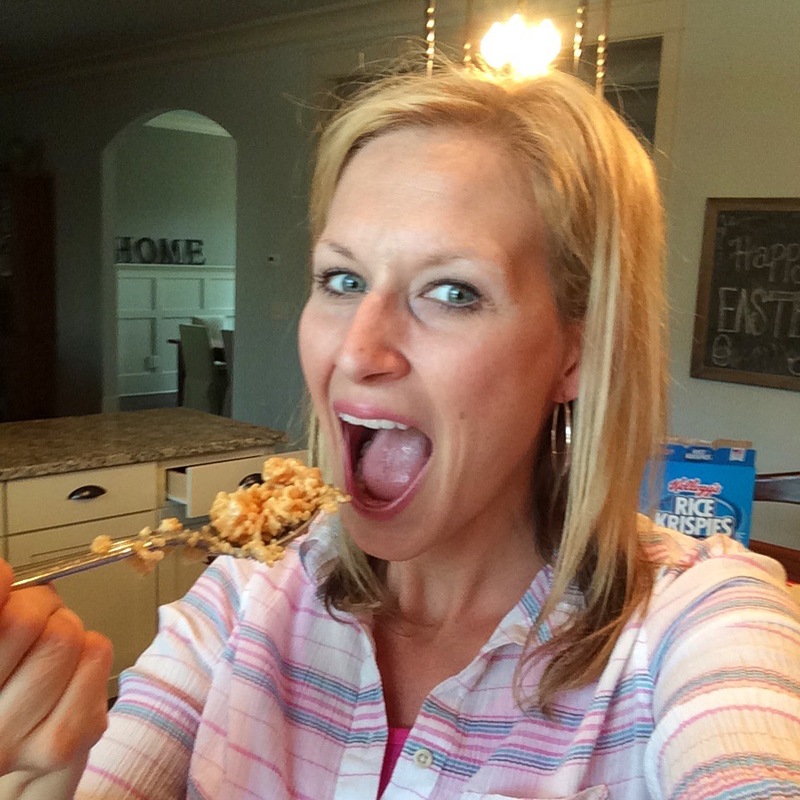 My love for Rice Krispies continued and when I was pregnant with Blondie it was what I craved. I would literally make a batch of the treats every few days and pretty much eat it all by myself. Fast forward to present day and I still have a sweet tooth for my favorite treats. 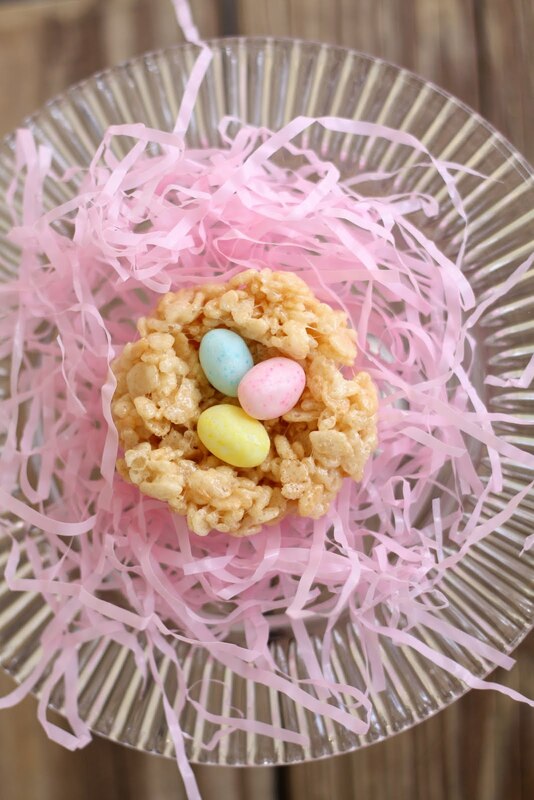 My kiddos love them, too, so when it is was time to come up with some Easter treats I knew just what I wanted to make. These cute bird's nests are filled with jelly beans, everyone's favorite Easter candy! They take minutes to prepare and look absolutely adorable. The only problem is me having enough self control to not eat it all before I form the nests. Rice Krispies treats on a spoon (still warm from the mixing bowl) are hard to resist. 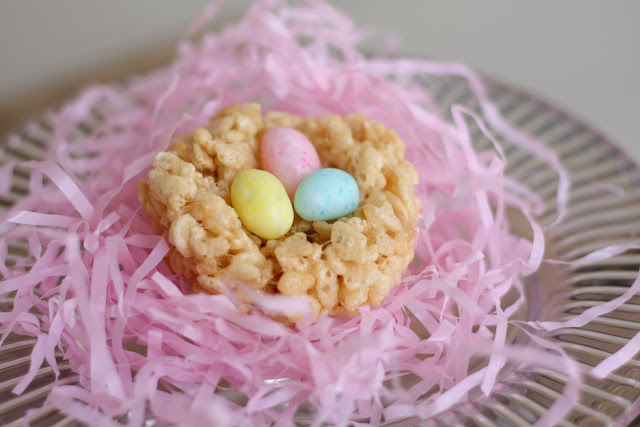 To read the full directions for the sweet little Easter treats, hop on over to Savvy Sassy Moms.